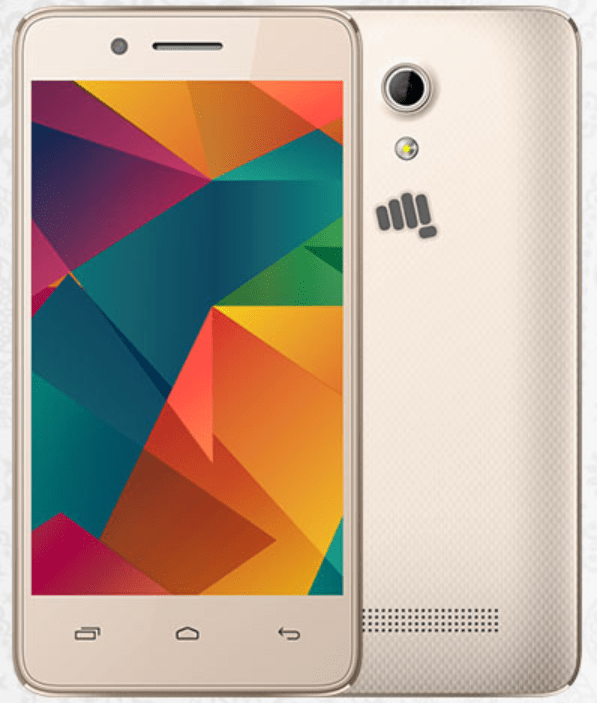 In compliance with the #DigitalIndia initiative, the Indian consumer electronics company Micromax has recently unveiled its 4G VolTE enabled smartphone Bharat 2 online, after a short offline service. The cheap deal has been made for all, to convince Indians to embrace digitalism. While the phone was officially released earlier, this is the first time Micromax made an online room for its new offspring. Smart and pocket saver, the Bharat 2 runs on Android Marshmallow. With the native essence, the phone features a patterned rear panel with a centered camera. The speakers are placed at the end and the front is etched with buttons. Boasting a 4" capacitive display with a resolution of 480x800 pixels, the phone seems to fit the attire of a smartphone made for all. Although, the specifications are lowered down to follow the budget, the phone simply passes as the value for money deal. Housing a battery of 1300 mAh, the phone promises a standby time up to 100 hours. Powered by a SC9832 quad core processor clocked at 1.3GHz with 512MB RAM, the phone comes with 2MP rear camera and a VGA selfie snapper. Storage wise, the phone features a 4GB internal storage with 2GB usable space and an expandable stoarge option up to 32 GB. Connectivity wise, it features GSM - 900, 1800, WCDMA - 2100, 900, Wi-Fi 802.11 b/g/n, Bluetooth 4.0, USB V 2.0 and a 3.5 mm audio jack. The box prize of the product is revealed to be Rs.3750.